geniaBeana Scraps: Happy Thanksgiving, New Releases, BIG Sales!! and some freebies, too! Happy Thanksgiving, New Releases, BIG Sales!! and some freebies, too! I'm headed out at midnight to go to Toys R Us and fight the crowds in hopes of grabbing up some super deals for Christmas. Then maybe to Wal-Mart and home. I'm hoping to do LOTS and LOTS of digiscrap related Black Friday shopping tomorrow afternoon. I'm really looking forward to shopping from the sofa with no crowds! I've got a few things coming out for black Friday, too. 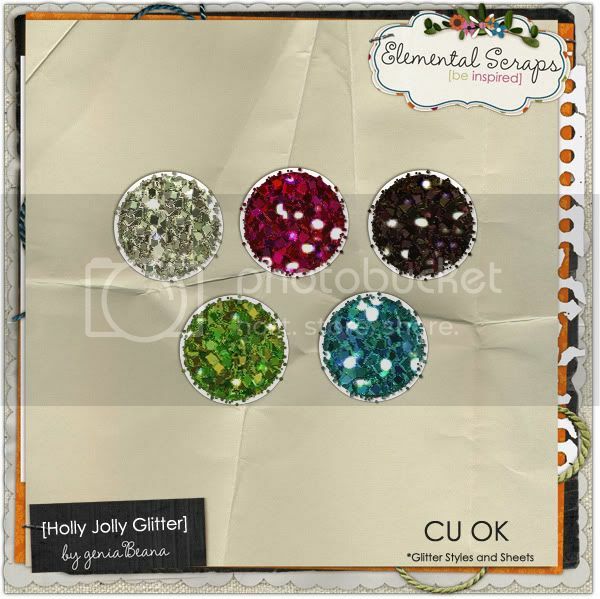 They are available in my shops at Elemental Scraps and GDS for 50% off. First I have a PERFECT kit for scrapping your fall feast. The colors reflect most of the foods on the Thanksgiving table. In the spirit of Christmas shopping and the Holiday Season I have a collab with my pal Belinda of Dylabel Designs. And in addition to those I also have some templates and a snow layer style. There are some AWESOME sales going on for Black Friday, too! 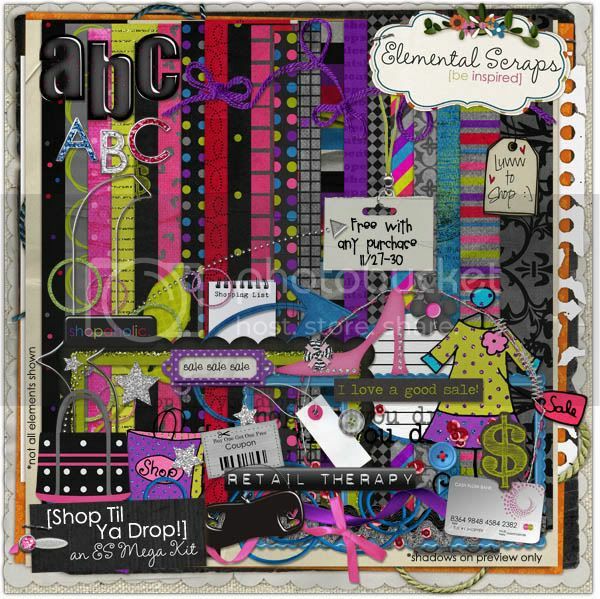 The designers at ES have put together a fantastic FREE WITH PURCHASE kit. Free with ANY purchase. Who could pass that up?? Today at GDS you can get my Cranberry Jelly Alpha for free. It's today's Daily Download. You have to go there and get it, but I don't think it is up quite yet. Keep checking though. It's made to match my new Autumnal kit, but should look great with a variety of others, too. 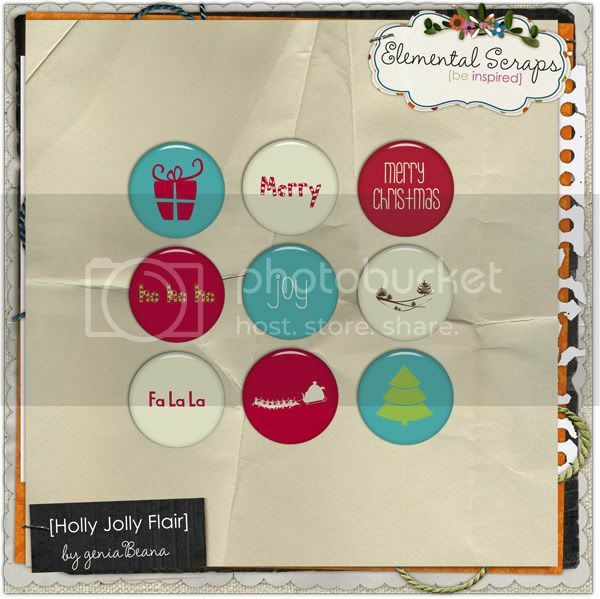 AND one more freebie :D I have a whimiscal little alpha to coordinate with Holly Jolly, too. Free for the weekend and then is going into my shop. So grab it while it's free. thanks for the great jolly alpha! 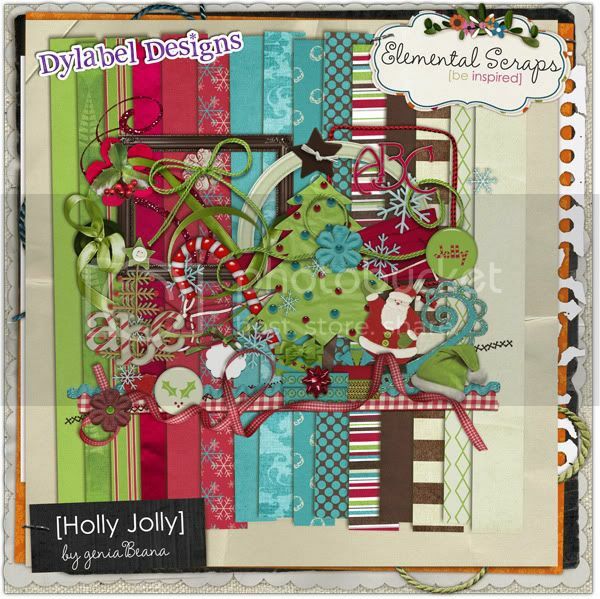 I really want to purchase the Holly Jolly kit, but I'm having trouble finding it. Any suggestions?